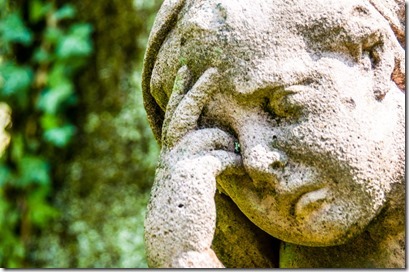 When Job lost everything—his children, his livestock, his wealth, his health, literally everything—his wife comforted him by telling him to curse God and die. Then his best friends told him not to curse God, because it wasn’t God’s fault at all. It was Job’s fault. He must have done something wrong, and though they didn’t know what it was, surely Job did. This type of calamity doesn’t happen because you unknowingly sinned in ignorance. God isn’t that petty. No, this kind of stuff happens because you sinned in a really, really big way, you knew what you were doing and you did it anyway. You did it, you know it, so admit it and maybe, just maybe God will be merciful. Blessed are those who mourn indeed. We’ve come a long way in understanding grief and helping those in mourning deal with their losses, whether it be the death of a loved one, the sad ending of a relationship, or the sudden loss of a job. Ask anyone who has ever grieved—it’s a blessing to have friends and family who know how to bring comfort. And though it doesn’t feel like it at the time, it’s a blessing to be able to grieve. Imagine if someone close to you died—a parent, a brother, a spouse—and you felt no sadness, no sense of loss, nothing but apathy. Or relief. That’s incredibly sad. The measure of mourning you experience is proportional to the love that you shared. No love, no mourning. No love, no blessing. I also think that he meant so much more as well. The Beatitudes are not just about our individual lives, not even primarily about our individual lives. They are about the kingdom of God, and it’s in understanding what they describe about the kingdom that we understand what that means to each of us individually. 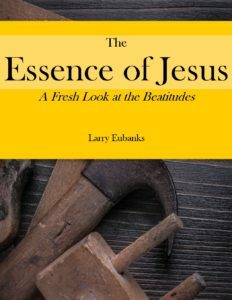 The Beatitudes speak to a world which is both not-yet and breaking-out. In the not-yet world, there is much to mourn. · A father who doesn’t know how he is going to feed his family lives in mourning. · A teenage girl who has been kidnapped and trafficked lives in mourning. · A mother fleeing her war-torn country because it is unsafe to live at home lives in mourning. · The man who cries for peace when the world shouts for war lives in mourning. · The child who lives in fear because she is of a different ethnicity or different religion—or just plain different—lives in mourning. · Those who hunger and thirst because of a lack of nutritious food or a lack of clean water or for the lack of a righteous society that makes sure that both are available for all—live in mourning. But there is a difference between not-yet and not-ever. Those who mourn the most are those who have no hope that their situation will ever get better. That mourning is all there will ever be. In the Beatitudes Jesus is promising people that their not-ever’s will be changed to not-yet’s, and he represents the down-payment, the first fruits, the breaking-out of that future which he calls the kingdom of God. You mourn now, he is saying, but you will be comforted, and not with the false comfort of a pat on the back and empty promises. It is rather the comfort that comes when a father can feed his family, a teenage girl can grow into womanhood in her own time, a mother can raise her family in her own home, and no one has to cry for peace or hunger for righteousness because there is an abundance of both.